Avis’s merit review hearing is set for May 2, at 9am sharp. She is scheduled to have a video interview during this time. This is one of many steps in the commutation process. If she is approved by majority, 3 of the 5 member board of pardons she will be granted a public hearing. Do you want to go to the hearing? Let’s Get Free is gonna make T-shirts and coordinate carpools if people are interested in going. Click here to sign up for car pool and T-Shirt Size. Philly people if you are going and want a t-shirt please fill out form so we can make enough. We will aim to arrive at 8:15 – 8:30 am to give out T-shirts in Harrisburg. Also, if you want to make a donation we could use it for gas, tolls, t-shirts etc. Avis Lee turned 58 years old this past January. 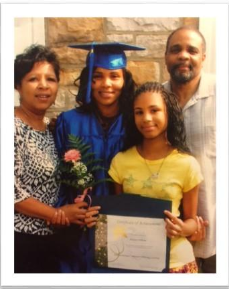 She was sentenced to Death by Incarceration (DBI) as a teenager and has served almost 40 years in prison. She was the look out for a robbery that ended tragically. This is her 6th attempt at applying for commutation. The last 4 attempts she has had full support of Cambridge Springs Prison. Antwon Rose II pictured above wearing a white t-shirt with trees and sun in the backgroundWe are all witnesses. On June 19, 2018, we watched the video of 17-year-old Antwon Rose II running away, unarmed, with his hands held high. We watched as he was shot three times in the back by Police Officer Michael Rosfeld. Antwon Rose II was no threat to Michael Rosfeld. We believe the family and loved ones of Antwon Rose II deserve justice.We believe that in a democratic society, democracy fails when any citizen is denied a pathway to justice. We believe that holding police accountable is essential for creating a meaningful relationship between the police and the community. We believe that in order for justice to prevail, Michael Rosfeld must be prosecuted to the fullest extent of the law for the murder of Antwon Rose II. We believe that if the Allegheny County District Attorney convicts Officer Michael Rosfeld, then we can finally begin the process of healing and reconciliation. The focus should be on convicting Michael Rosfeld, not what a community in pain might or might not do. We’ve all heard the slogan that Pittsburgh is “America’s Most Liveable City.” However, without justice, without accountability, without racial equality, the question remains, “For WHOM?” Only a two-tier system of justice that offers police preferential treatment would accept the notion that Michael Rosfeld is innocent of wrongdoing. Such a conclusion would send a very clear message to our community and the world that Black Lives Do NOT Matter. The outcome of this trial can either deepen the division or show that we are truly “Stronger Together”. To find out how you can support the family email justiceforantwonroseII@gmail.com. You can Cash App donations to: $ANTWONSMOTHER . Let’s Get Free is pushing off the new year with a flurry of heartfelt activity. Excitement is brewing because we have secured a date for our annual prison justice art fundraiser (October) and our dear friends from Philadelphia are coming to lead a training on self governance. That’s right! Reconstruction Inc. will be here the 3rd weekend of March to share their Capacity Building Curriculum, and you are invited! We continue to confront laws and policies upholding Death by Incarceration sentences, with our participation in CADBI-West. We have been channeling love in the form of visits, letters, phone calls, books, financial and commutation application support to not just the women at Cambridge Springs but many people serving life sentences. We are bursting with ideas and an overwhelming workload – perhaps you are ready to get more involved? Next meeting this Wednesday Feb 20th @ 6:30pm at the TMC Annex 5119 Penn ave! You coming? Read on dear ones for news, updates and ways to participate. Support Pittsburgh’s New Bail Fund! 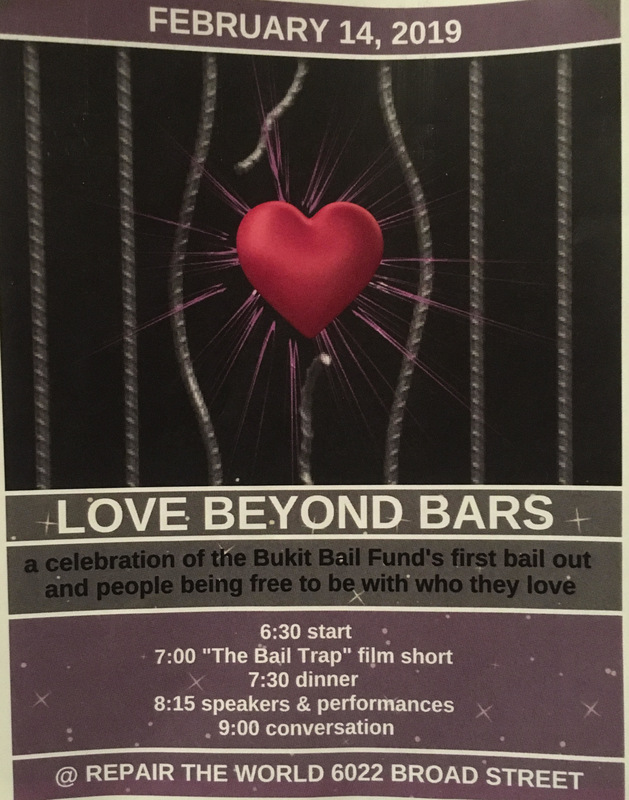 The Bukit Bail Fund of Pittsburgh is doing its first set of BAILOUTS over the week of Valentine’s Day! To celebrate this righteous return of people to their communities, you are invited to join on February 14, 2019 for a celebration of love and freedom with dinner, conversation, performances by radical artists, and more! There is no cost for this event, though donation jars will be present for those who feel called to contribute. 81% of inmates at ACJ have not been convicted of a crime. They are only being held because they cannot afford to post bail before their trial. Their freedom cannot wait. Black people and other People of Color end up behind bars more than anyone else — Black people get incarcerated at more than five times the rate of white people. People needlessly suffer and often even die in jail while waiting on their hearings, especially if they are POC, trans, disabled, or poor. In 2017, four people died at ACJ due to medical neglect, and historically such deaths occur within the first few days of someone’s arrival. Join this new exciting group on this day of action in memory of Frank “Bukit” Smart, Jr. and everyone else who has lost their life to the neglect and active abuse of the ACJ. In solidarity with all their families, friends, and loved ones, let’s spread the #LoveBeyondBars! What does HOME look like? Feel like? A space? A state of mind? how do you glow there? How would you draw, paint sculpt your dream home? If you are incarcerated, what are your hopes, dreams, fears about coming home? So many of us had fun creating lamps and light boxes at last years show we wanted to extend that theme. Spruce up a lamp shade or string of lights. Another angle is that of relationSHIPS. We believe relationships are really what makes coming home GLOW. Think of all the ships:) relationSHIP. friendSHIP, companionSHIP, hardSHIP, worSHIP, partnerSHIP, citizenSHIP, leaderSHIP -it is a fundraiser. People love ships. loveSHIPs. Please submit your art by July 31 2019. As always, we accept old art that wasn’t made specifically for this show. 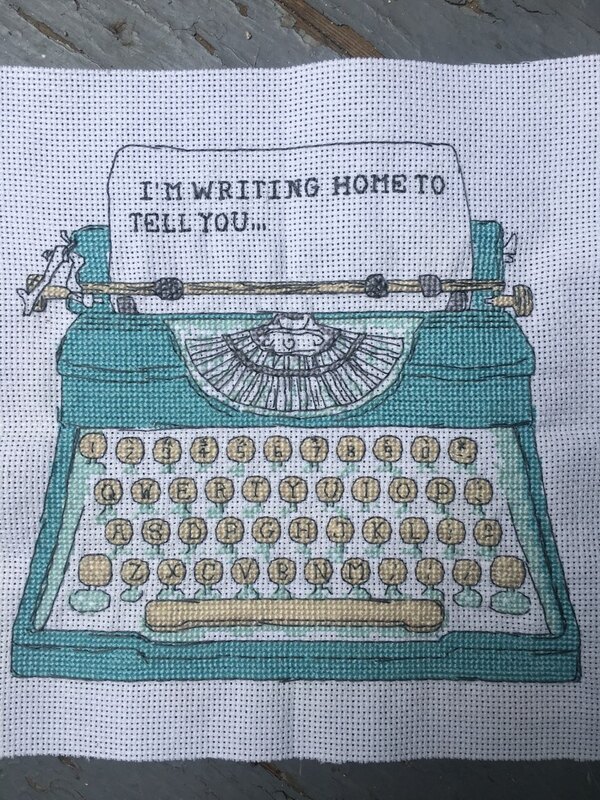 Additionally, if anyone is still inspired to make art out of letters from people in prison please do! Do you know an incarcerated artist? Share their contact with us so we can send them the call to artists. Details to be decided: Save the Date! Please join Reconstruction Inc. in collaboration with Let’s Get Free in a two day training & learning from the Capacity Building Curriculum. Reconstruction Inc. is a grassroots organization based in Philadelphia whose purpose is to affect social change by forging individuals that were formerly incarcerated into an organized community of leaders working together to transform the criminal justice system, their communities and themselves. This curriculum has been developed over many years of direct implementation with groups in Philadelphia and recently at the State Correctional Institution-Muncy. It is important to note that the curriculum is not only for people impacted by the criminal injustice system, but for everyone. Reconstruction Inc. believes that each human being is sacred and is valuable to themselves, their family, the community and to society. Each of us should be critical thinkers, good decision makers, and give principled leadership to our family and eventually change the world. This curriculum has three pillars, and is both interactive and transformative. 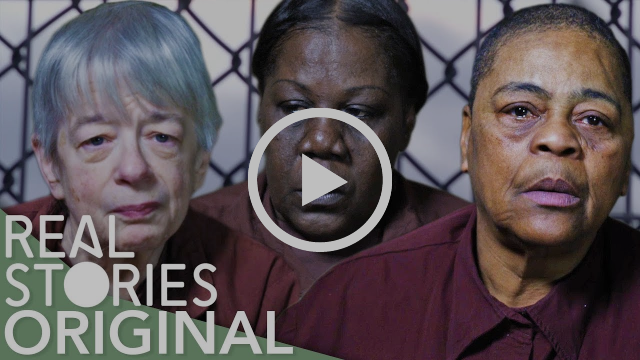 Please watch this new 18 minute documentary produced by Real Stories featuring women in prison at SCI-Muncy. It’s called Dying Outloud. 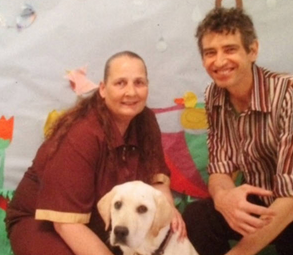 This film features Diane Metzger who passed away this month in prison. We send our deepest condolences out to her family both in and outside of prison. Diane was 69 years old at the time of her death. Her crime, not turning in her husband who killed his ex-wife, is explained in the video. 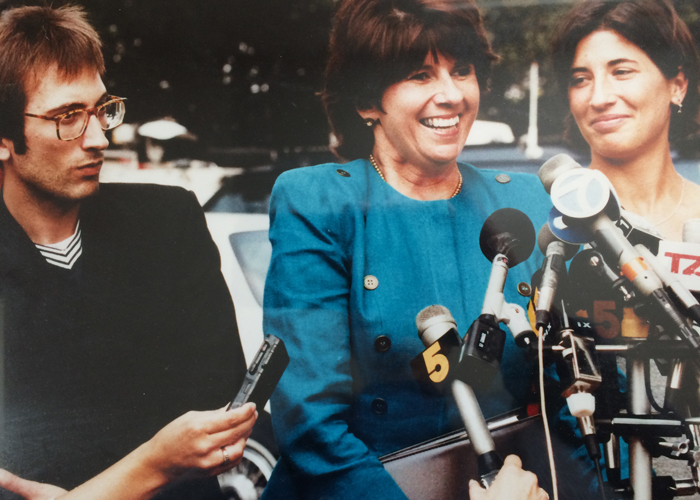 In 1989 Diane received approval from the Board of Pardons for a commutation of her life sentence, but was then denied by Governor Bob Casey. This Saturday members of the Coalition to Abolish Death by Incarceration-West are hosting a break out session at this years Summit for Racial Justice. The Coalition to Abolish Death By Incarceration (CADBI-West) invites you to join us in a workshop/skill share in supporting people transitioning home from prison. Topics covered include navigating homeplans, commutation applications, support letters, housing and employment on release. CADBI-West is comprised of returning citizens, family members of people in prison and community advocates. There will be a brief panel then small group discussions to delve deeper into different areas of interest. Alan Lewandowski – CABDI-West shares reflections on PA’s commutation process, one of the only pathways for peoples sentenced to death by incarceration to come home. etta cetera Let’s Get Free shares tips on writing letters of support before people return home and help with commutation applications. Ricky Olds from The Real Deal shares insights of returning home after 37 years. Contact: ricky.olds[at]acd.ccac.edu Available for speaking engagements. CADBI-West is the Western PA arm of the Coalition to Abolish Death by Incarceration. Our founding meeting was September 25 of 2017. The founding organizations are Fight for Lifers West, The Abolitionist Law Center, Let’s Get Free, HRC-Fedup and POORLAW. October 23rd – Avis Lee’s Hearing in Philadelphia – Many people in Pittsburgh will attend leaving both Monday night and Tuesday early morning. The Pennsylvania Superior Court has scheduled en banc (meaning the full court, i.e. 9+ judges) oral argument in the case of Avis Lee for Tuesday, October 23rd at 9:30 a.m. at in Philadelphia, address: 17th Floor, 530 Walnut St. The Court is sitting “en banc”, which means 9 or more judges, and when they are en banc they have super judicial powers and can overturn their existing precedent that prohibits 18+ Miller claims. The issue in this case is whether Avis is permitted to challenge her mandatory life-without-parole sentence as excessive in violation of the Eighth Amendment’s prohibition on cruel and unusual punishment due to her being only 18 years old at the time of the offense. Avis raised a claim that she had the same characteristics of youth and immaturity that the U.S. Supreme Court found relevant in striking down mandatory life-without-parole sentences for children younger than age 18 in Miller v. Alabama, then applied retroactively to older cases (like Avis’) in Montgomery v. Louisiana. For the 2nd year in a row, Let’s Get Free has facilitated a collaborative art show in effort to raise funds for our basic needs like transportation, stamps, speakers fees and copies. Not only do we get filled up on funds and creative inspiration, we also take full advantage of the space through having weekly gallery hours and 3 events. The opening event and auction saw over 1,000 people come through the doors of Boom Concepts and almost all the art sold raising over $5,000. Etta Cetera, co-founder of Let’s Get Free and curator of Letters and Liberation, gave two tours to youth groups including, 1Hood Media’s summer interns and the Hazelwood Arts Excursion. One participant wants to help etta curate the show next year and many of the young people said they would donate art to future events. This years art show funded the Let’s Get Free retreat which took place on August 12. Overlooking Edinboro Lake we reflected, assessed and strategized. This years art show also helped to fund two new programs – The Real Deal a support group for returning citizens and Let‘s Get Smart – an initiative to build educational opportunities in prisons across PA. THANK YOU SO MUCH TO ALL THE ARTISTS WHO DONATED ART, ALL THE VOLUNTEERS WHO SET UP, BROKE DOWN AND HELPED WITH EVENTS, ALL THE PEOPLE WHO BOUGHT ART, ALL THE ATTENDEES WHO SHARED THEIR WISDOM WITH US THROUGHOUT THE MONTH OF JULY AND TO BOOM CONCEPTS. What can you do? Get out the VOTE in the midterm elections this November! Ask the candidates if they will support the lifer bills and vote for the candidate who will. In District 28 (Allegheny County) there is a very important race. The incumbent, MikeTurzai, is being challenged by Emily Skopov. Let’s Get Free has tried to meet with the incumbent to ask for his support of the lifer bill but he will not schedule a meeting. The incumbent is the speaker of the House so he has great power to appoint committee chairs and wield influence. His head of the house Judiciary committee does not support our cause. Let’s Get Free has met with Emily Skopov and she will support the lifer bill. She is committed to serving the interests of her constituents, not her financial backers. So please support Emily Skopov and other candidates who support reforms leading to redemption. Go to https://ballotpedia.org/Pennsylvania_elections,_2018 to find out who is running in your area. Just as important as the midterm elections is next year’s election for DA in Allegheny County. Legislators tell us they will vote on the lifer bill as the District Attorneys tell them. Philadelphia County has a new DA who is committed to being smart on crime and reforming the system. All other PA counties need like minded DA’s. In Allegheny County the DA is up for reelection in 2019. Turahn Jenkins is running against the incumbent. Jenkins has the endorsement of LGF and CADBIwest. What can you do? Please support his campaign anyway you can and especially by telling your friends and family his name.Turahn Jenkins for DA! On July 11 2018, Let’s Get Free hosted a Community Dialogue on Pardons and Parole. Panelists included CADBI members Robert Saleem Holbrook, Carol Speaks, Liz Guyer, Marcie Marra and Pittsburgh based politicians: John Fetterman, Ed Gainey, Sara Innamorato, Summer Lee. (Ed, Sara and Summer have already spoken in support of SB942 and HB135. 1.) He opposes the Unanimous Vote on the Board of Pardons for Lifers and believes it is a impossible burden for a Lifer. 2.) He supports Judges having Discretion when it comes to sentencing prisoners to Life, which is a tacit support of parole for lifers that we can use. His statements as well as the whole event were recorded and are on youtube. If elected he should be held accountable to his word. What is the Real Deal? 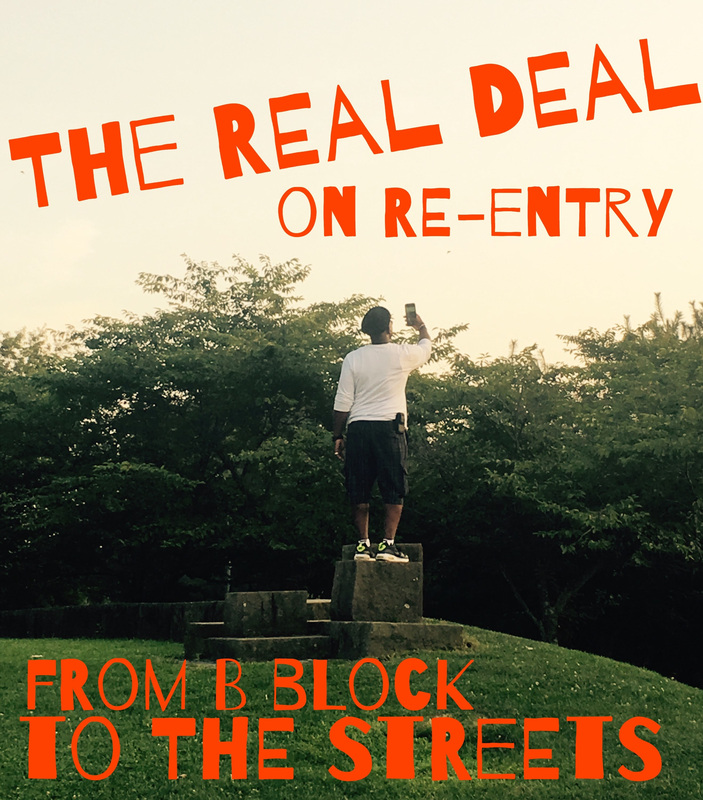 The Real Deal is a support group, a discussion group, a problem sharing and a problem-solving group tackling the many issues that face people coming home from prison. The Real Deal is made up of Re-entrants, by Re-entrants and for Re-entrants. Who is it for? Initially, we are focusing on returning juvenile lifers and longer term returning citizens, however, we foresee quickly expanding to include all formally incarcerated individuals, men as well as women. We also hope to include spouses, children, and family members of returning citizens. Any persons integral to the support and long term success of the returning citizens. We also encourage spouses and family members of those yet to be released to attend. So they might better understand the challenges their loved ones will be facing upon release. This will create a network of support, a network made up entirely of people in the same or similar circumstances. In many cases, a strong network can make all the difference. Speak it into Existence: Our dream is to build a solid network supporting people coming home. We hope to create strong lines of communication through the walls sharing our meeting minutes, what we have learned, discovered and created, with those still incarcerated. Any questions, comments or concerns coming from the inside can be addressed and forwarded at the next meeting with the goal being a smooth and seamless return home for all. We also plan to develop a Website and eventually simulcast our meetings to those unable to attend physically. 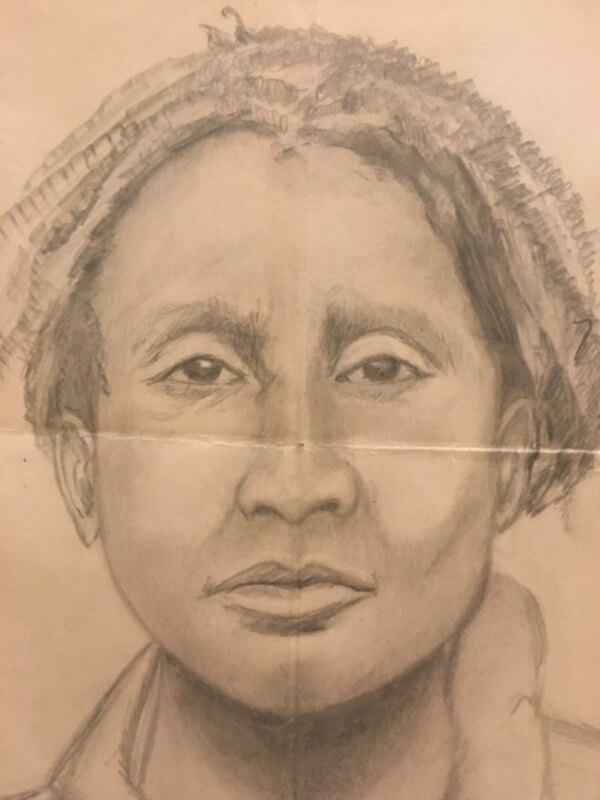 We would like a presence on all relevant social media so that the community at large can see who these Re-entrants are and recognize the talent, skills and knowledge represented by many of our returning citizens. After attending my second merit review session with the Board of Pardons I wanted to find out what factors in determining a decision to vote for or against a public hearing for lifers besides the application’s contents. Secretary Wetzel interviews each applicant before the merit review and after the staffing. He reads the staffing reports. Many of us feel that if you get Wetzel’s approval that should at least translate to a yes vote by the DOC’s BOP representative. That is not the case. The battery of tests taken also likely influences their decision. If Lt. Governor Stack embraces second chances and votes no, how does he get to that judgment? I learned that once a commutation application is officially filed with the BOP, the application is shared with the committing county’s DA, judge or president judge, victims and possibly the magisterial district. This information is found on page 6 in the Pathways to Pardons booklet. I am starting to believe that it is necessary that family members and supporters of a commutation applicant reach out and have a conversation with the DA and president judge before the merit review. At that time stress the applicant’s humanity and emphasize the support you are willing to give. Recently an applicant was denied commutation after a public hearing even with the victim’s family support. The committing county’s DA opposed it. Would it have helped if the victim’s family in this case had a conversation with the DA before the merit review and the public hearing? (I don’t know which member of the BOP voted yes to move on to the public hearing. This information would help to analyze the outcome; three members voted yes for the public hearing.) On one hand the DA’s MO is to protect the victims. But what happens when the victim’s don’t want the DA’s protection?! Who does the DA work for? Did the DA influence the AG and corrections expert who voted no at the public hearing? Interestingly, the DA and corrections expert are from the same county-Bucks. This is a very frustrating process especially since we know so much about the nearly non-existence in reoffending by life sentenced people. The reality of commutation for lifers in PA is dark and complicated but to not apply is not only giving up hope, it keeps the system in place. By putting your life story out there and facing the consequences it is only then that we on the outside can push to dismantle it thereby improving the outcomes-possible. Always file for reconsideration. Let’s Get Free continues to share Commutation Kits – A resource for people in PA applying for commutation. The Kit includes a sample application, tips for writing your application and tips for your loved ones to write a support letter for you. We are celebrating a year of growing connections and building friendships with our project Operation Break Bread, which started the summer of 2017 and grew out of last years art show. With this initiative we’ve organized people in Pittsburgh to visit people serving life at SCI Cambridge Springs, the closest women’s prison to Pittsburgh. For the last year, there have been visits organized at least once every other month, with over 20 people visiting and 20 people receiving visits. 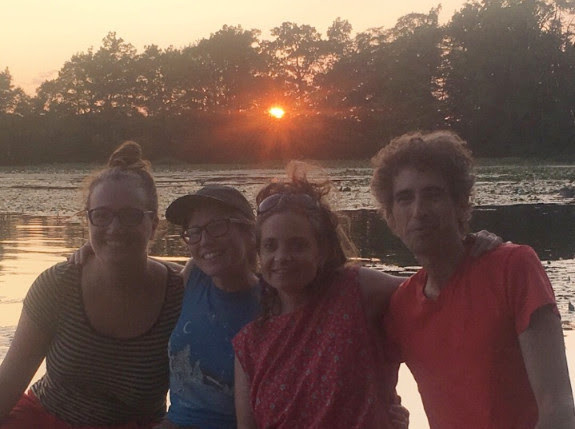 We recently organized two prison visit trainings to invite more people to participate and learn the ways to create connections with folks on the inside across the concrete and communication barriers. If you or someone you know who is serving life at SCI Cambridge Springs would like a visit, reach out to us at: Let’s Get Free 460 Melwood Ave #300 – Pittsburgh, PA 15213 – Please keep in mind we can’t promise a visit and we are very slow to respond but as always we will do our best! The song is from a daydream I had over breakfast about my friend Marsha Scaggs, currently serving Life Without Parole at SCI Cambridge Springs, PA. The women sentenced to life at SCI Cambridge Springs and SCI Muncy are some of the best and sweetest people I’ve ever met. They are care giving individuals who act as mentors, teachers and role models to the younger folks with lesser sentences who come through the prison. They have long ago been re-habilitated and transformed into incredible human beings. They do not belong in prison and their being held there until they die constitutes a Human Rights disaster. We make the laws. Let‘s fix these broken ones. This song is my vision of Marsha coming home. Let it be soon! Ghani shares 5 lessons applicable to humanity learned by Geese. 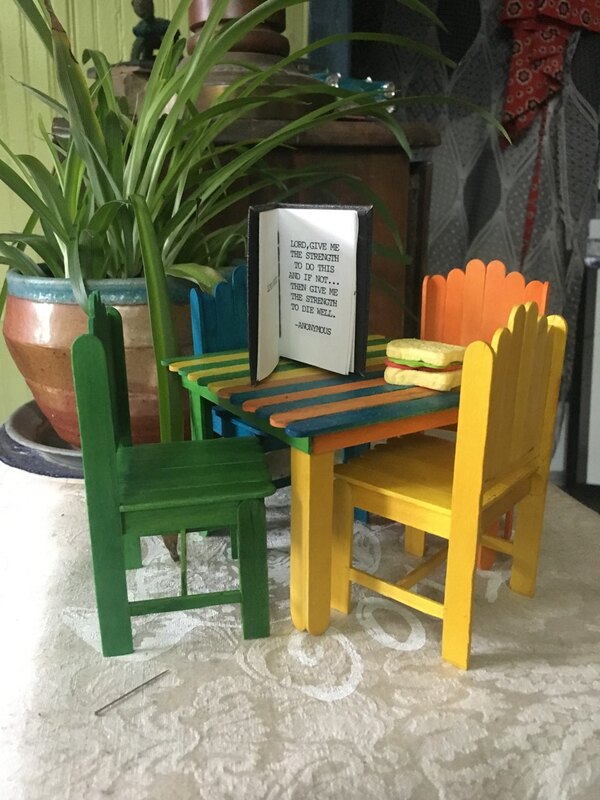 He shared this at the end of a workshop entitled “Peace, Forgiveness and Ubuntu” which happened on July 21, 2018 in Pittsburgh, PA as part of the Letters & Liberation Art Show at Boom Concepts. If Lt. Governor Stack embraces second chances and votes no, how does he get to that judgement? This is a very frustrating process especially since we know so much about the nearly non-existence in reoffending by life sentenced people. The reality of commutation for lifers in PA is dark and complicated but to not apply is not only giving up hope, it keeps the system in place. By putting your life story out there and facing the consequences it is only then that we on the outside can push to dismantle it thereby improving the outcomes-possibly. Always file for a reconsideration. Let’s Get Free, The Women & Trans Prisoner Defense Committee, teams up with Boom Concepts for the 2nd year in a row displaying a new exhibit called Letters and Liberation. 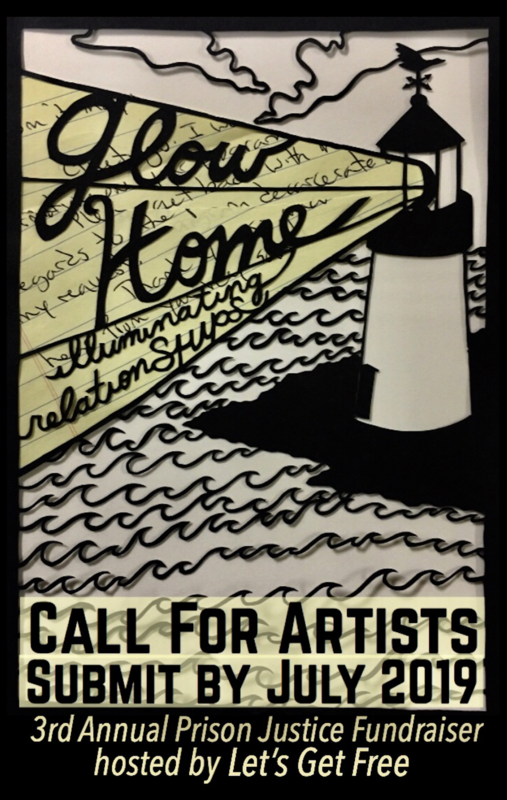 Over 40 artists from both sides of the prison walls have submitted provocative pieces utilizing ceramics, photography, textiles, silk screen, collage, stained glass, drawing, etc. 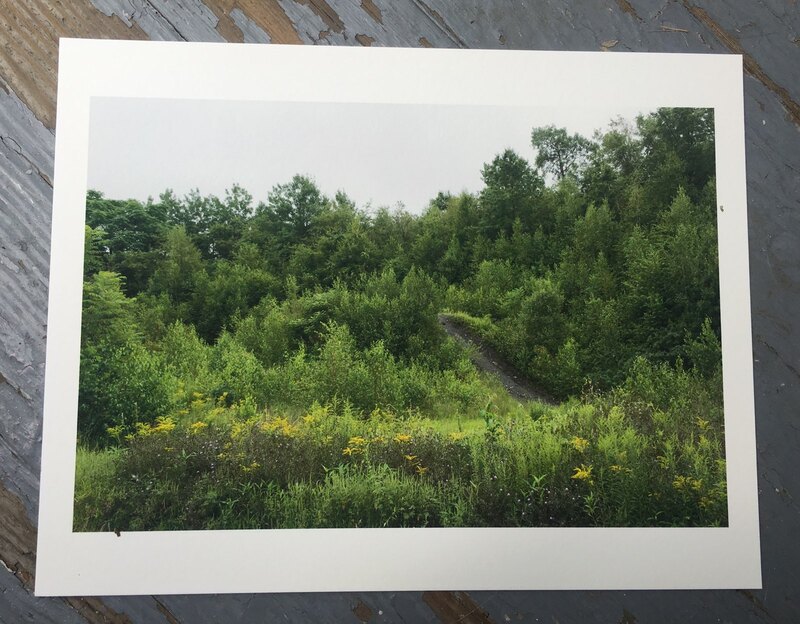 There are close to 100 pieces of art up for auction benefiting the work of this local prison advocacy group. 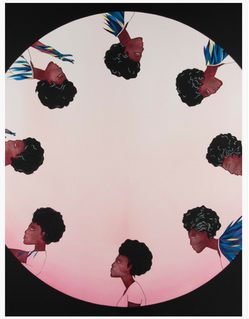 The opening and auction will take place on July 6 from 6 – 10pm with the auction closing at 9pm. The show will stay up through July 29th with gallery hours on Saturdays from 12 – 4pm. Not all of the art is made from letters. Some of the art is inspired by reading letters. 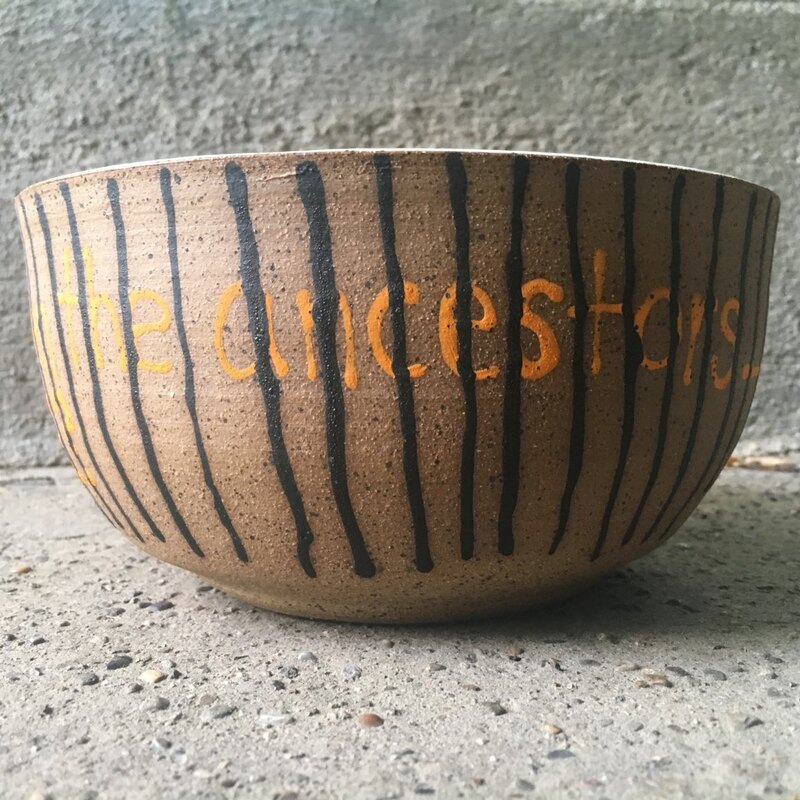 Paula Levin created a ceramic bowl after reading a letter by Khalifa Diggs. The bowl is glazed on the outside weaving Khalifa’s words with prison bars, “I have seen the ancestors and I have got to get to….where?” Khalifa passed away last December after spending close to 40 years in prison. This is why people call life sentences in PA death sentences. People are dying. Let’s Get Free is one of the founding groups of the Coalition to Abolish Death by Incarceration West (CADBIWest). Part of the proceeds from last year’s benefit went to pay for traveling expenses for many members to attend CADBI’s statewide rallies, meetings with lawmakers, the juvenile lifer day at Muncy prison, hearings for juvenile lifers, and statewide strategy meetings. The youngest participants to submit art created out of letters are Shayla (age 13) and Luz (age 10), the daughters of MartÍn Esquivel- Hernandez. On May 1st, 2016 MartÍn Esquivel-Hernandez led the annual Mayday March for Workers and Immigrant Rights in Pittsburgh. 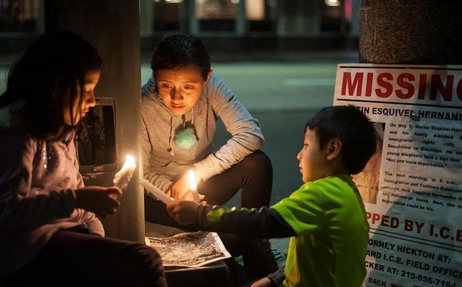 He held a large banner with his wife that read, “Not One More Deportation.” On May 2nd, 2016, MartÍn was taken by ICE (Immigration and Customs Enforcement) at 6am in front of his family. They have not seen or hugged him since. Martin wrote this letter while he was detained for 9 months before being deported, and addressed it to ICE. His daughters Shayla and Luz redacted the letter by blocking out many words to create a new letter addressed to anyone in positions of power to stop separating families. Shayla is tired of phone calls being the only way to be with her father. Luz barely remembers what he looks like. His wife, Alma, hasn’t seen him in over 2 years. And Alex, MartÍn’s youngest son (age 6), talks about him everyday. There is no hope for his return to the US, and his wife and children cannot visit him in Mexico. Cases like this are happening everyday, in Pittsburgh, nationwide, and worldwide. Families are being destroyed and separated. Parents are being forced to go to sleep, forever apart and without their children and families. Children are growing up in torn-apart families, surrounded by trauma. This isn’t right. Another world is possible. Have you ever thought about how militarized borders create open air prisons? 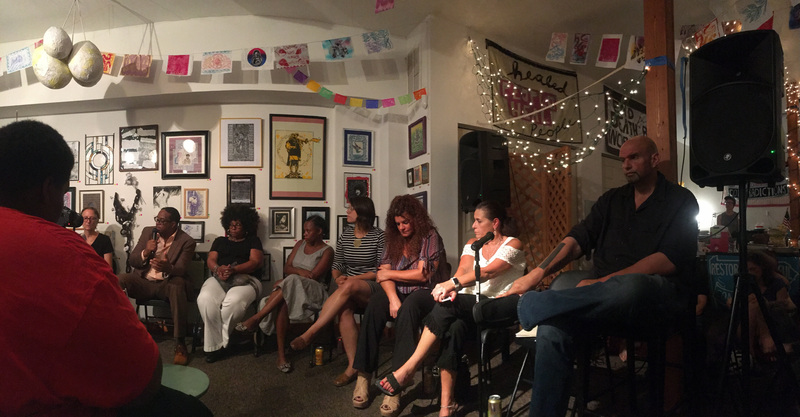 In addition to Shayla and Luz’s letter, which demonstrates the similarities between the struggles of family members separated by prison walls and border walls, there are quite a few artists represented from México. We are thrilled to exhibit two Puebla City artists, Esmeralda Juarez and Oscar Garcia, who both designed unique linoleum cuts especially for this show. More linoleum cuts from Andrea Narno and Grabiel of the radical print shop Escuela de Cultura Popular Martires del 68 in México City. 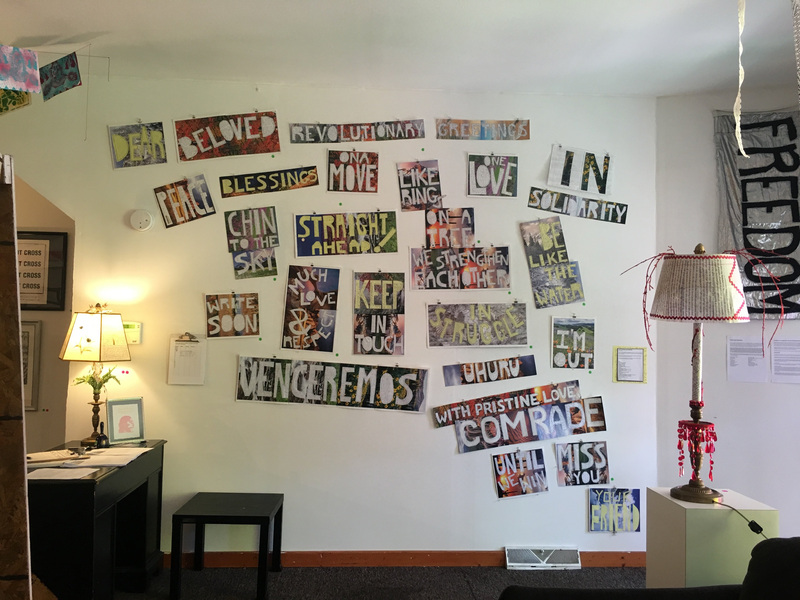 This community art space was born out of the student uprisings in 68. Lastly, from México we will feature a portrait of Mumia Abu-Jamal by Zamer, who created art in honor of Mumia Abu-Jamal’s birthday, which was celebrated in April across the world and in México City! Free Mumia! James “Ya Ya” Hough has only one year left of his juvenile life sentence. He is returning to Pittsburgh in 2019 and hopes to pursue a career as an artist. The piece he submitted is a mixed-media painting which incorporates a peach pit. Let’s Get Free is so excited to showcase his work and we can’t wait to welcome him home. Members of Let’s Get Free met Donna Martorano and Marsha Scaggs last summer on the first group visit to the Cambridge Springs prison. Marsha and her roomate Rachel submitted two charming tiny cross stitches one reading “Live, Love, Laugh” and the other reading “Let’s Get Free”. 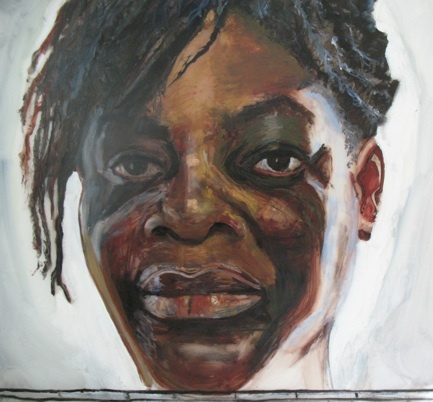 Donna submitted 5 pieces including two large landscape paintings and two portraits of Janet Africa, one in pencil and one in charcoal. Janet Africa is a member of the Move organization and has been in prison since the 80s. The MOVE Organization is a group of mostly black, freedom- and nature- loving activists who were living in Philadelphia from the early 1970s to early 80s. The Philadelphia police department dropped a bomb on their house from a helicopter on May 13, 1985, silencing their central figure, John Africa. Did you know that Pennsylvania incarcerates the country’s most political prisoners? Kiln Tender Ceramics has created a limited edition of cast ceramic prison abolitionist medallions inspired by 18th century coins made by abolitionists of slavery. 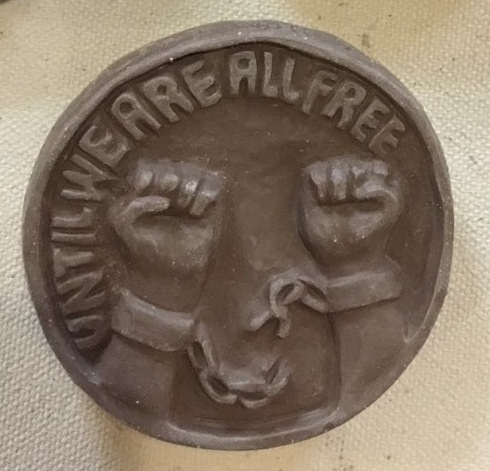 Larger than a silver dollar, these ceramic pieces fit in the palm of your hand with one side reading “ Until we all are free” with hands breaking out of chains, while the other side features 3 famous abolitionists of past and present – Harriet Tubman, Angela Davis, and Patrisse Kahn-Cullors. Sue Abramson who used the letters from prisoners as negatives. Placing the letter in its entirety directly onto photo paper reveals compelling black and white scribblings that almost look like a new language. Lataya Johnson, an artist from McKeesport, contributed a hanging lantern made completely with letters. If you were a photographer or had access to a camera, what would you photograph? What images define liberation for you? What do you miss most from outside of prison? They responded and Juliette took photos based on those replies. 5 photographs from this series and responses from the people incarcerated will be on display. Lifelines is a Philadelphia based media/cultural project conducted in extensive, long-term collaboration with eight people serving Life Sentences Without Parole or Death By Incarceration sentences in Pennsylvania. Lifelines created an exhibit called How Are We Free. 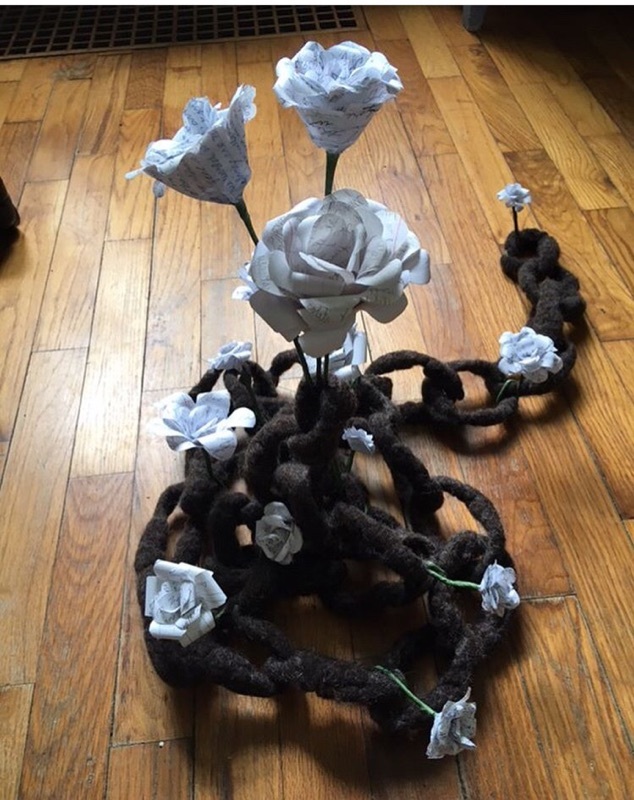 This visual art exhibit that explores the nature of freedom and confinement through creative collaboration between people who have been sentenced to die in prison and visual artists outside the prison walls. Lifelines is lending the exhibit several pieces to display in Pittsburgh! Last year’s art fundraiser entitled Contraband was SO SUCCESSFUL! Over 100 pieces of art sold and $5,000 was raised. 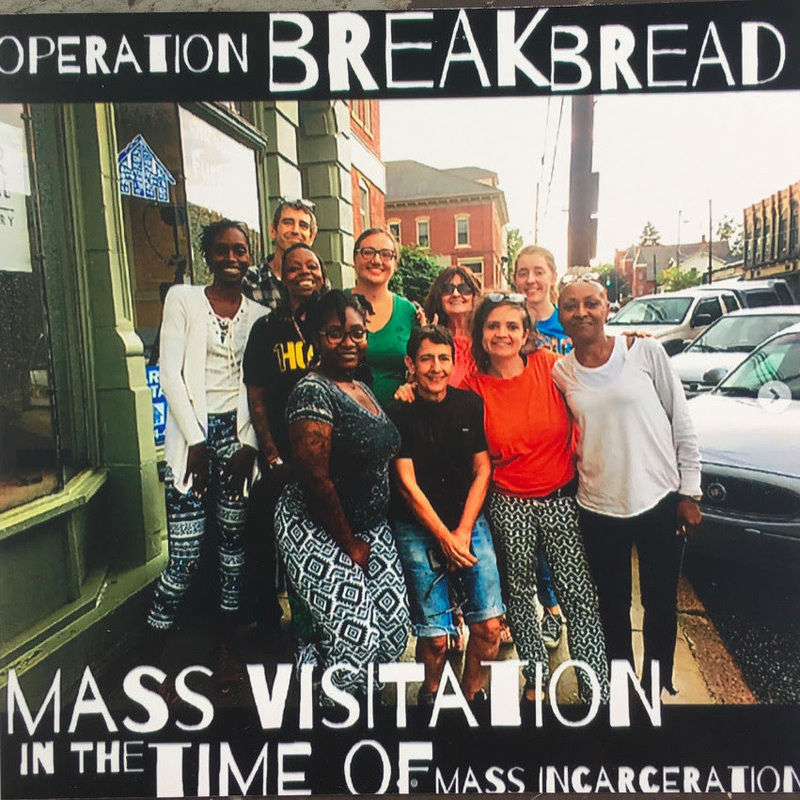 A new program called Operation Break Bread was launched connecting people in Pittsburgh with women and trans prisoners incarcerated at Cambridge Springs Prison. Cambridge Springs is 2 hours north of Pittsburgh. Since the first visit last June 24 Pittsburghers were linked with different people serving time. You can read some of the visiting chronicles on Let’s Get Free’s instagram page. Scroll down to see the visit pics- most have a reddish background. You will be able to sign up to visit women at Cambridge Springs at the art opening. Let’s Get Free is hoping to raise another $5,000 to support our work for the next year! Please come out on July 6th from 6 – 10 pm. Auction closes at 9pm. The show will be up the whole month of July with gallery hours on Saturdays from 12 – 4pm. Overflowing gratitude to Boom Concepts for being such a gracious host and Justseeds the radical artist cooperative headquartered in Pittsburgh, who for the 2nd year in a row has made a generous donation to this cause. Thank you to all the ARTISTS for the time, thought and care you put into submissions! !